At Suffolk County Gutters we understand that your home and time are both very valuable. For your FREE estimate appointment, we will arrive on time and will immediately and professionally assess your situation. You will know you've chosen to work with Long Island's Best Seamless Gutter Contractor! Our commercial gutters are installed and cleaned with the utmost care to keep your New York commercial property safe and beautiful. If you are shopping gutter prices, you've found the best gutter contractor for your money! Affordable, reliable and professional! 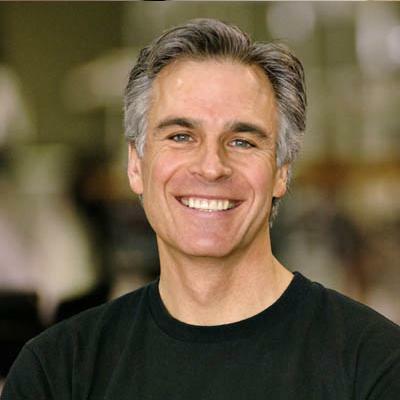 Brothers Jonathan and Jesse have been working together in the home renovation business for over 20 years. They have turned their years of experience into a highly efficient and professional home services company. Their skills range from seamless gutter installations to rain gutter repair, landscaping drainage to power-washing. They will inform you, work with you and leave you happy you chose their services. Guaranteed! Jesse and Jonathan did an amazing job replacing the gutters on my home. The old gutters were stained and falling off our house. Jonathan told us we'd probably have water damage from the bad gutter, and he was right! He fixed our fascia boards and replaced all of our homes gutters. 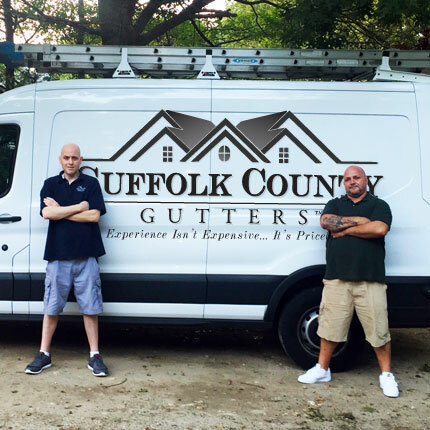 Suffolk County Gutters knows their stuff! We decided to investigate copper gutters for our home. We were very surprised by Suffolk County Gutters pricing. They were very professional during our consult and we decided to use their services. Our home looks amazing now, and we saved enough money to give our patio a professional pressure washing also! Thank you Jesse! WATER DAMAGE SHOULD NOT BE AN AFTERTHOUGHT! Living in New York is expensive, especially here on Long Island! Every week we visit Suffolk and Nassau County homes and commercial properties and we see big ticket repairs that could have easily been avoided. Even a minor water problem can lead to rotting wood, crumbling brick, rusting steel and even electrical problems! Water needs to be properly diverted away from your residence or business. A small repair today can prevent a complete restoration later. Not to mention the dangers of structure failure, mold and physical injury from ice or gutters literally falling off. Remember, an ounce of prevention is worth a pound of cure! And in this case, we are talking about your hard earned money! Let us be your ounce of prevention. You won't be sorry! We are licensed and insured, and offer FREE in home estimates! We look forward to working with you!